The Mk47 Mutant, a new assault rifle, landed in PLAYERUNKNOWN'S BATTLEGROUNDS Wednesday as part of PUBG PC Patch 21. 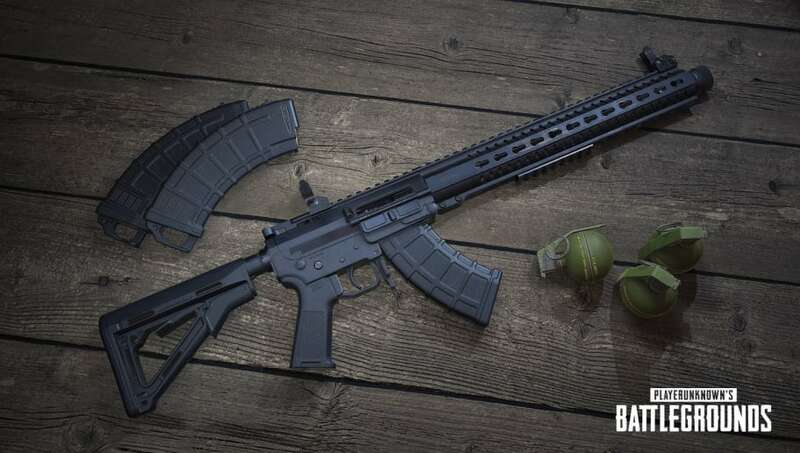 The weapon is available on all three of the game's maps, and is the third assault rifle in PUBG's history to use 7.62 millimeter ammunition, a feature it shares with the AKM. Its magazine holds up to 20 bullets, or 30 with an extended magazine. ​The Mk47 is also the only weapon in the game to employ single shot and two-round burst firing modes, and is incapable of fully automatic firing. It makes up for that shortcoming by packing as much punch as its Russian, 7.62 cousin, the AKM, and can be outfitted with all rifle attachments with the exception of a stock. The Mk47 arrives in PUBG PC Patch 21 alongside the ​new map and game mode, Training Mode, the Tukshai vehicle for Sanhok, a reworked supply system and a new laser sight attachment.